IMM was started by Kristi from the Story Siren. This week I only got one book in the mail, but what a great book it is! 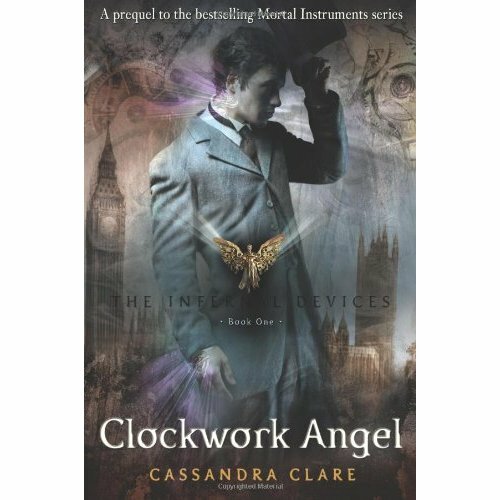 Clockwork Angel by Cassandra Clare. I can't wait to read this book! Has anyone else read it? Can you tell me how it is? I just got this too, I can't wait to get started I just have to finish Mockingjay first. Clockwork Angel is awesome! I really hope that you enjoy it! Come see what I got In My Mailbox! It's a really great book, I bet you'll love it! Hey there. I'm a new follower. I got Clockwork Angel this week too! Thank you everyone for the comments and the follows! It was my first Cassandra Clare novel, hope you enjoy it as much as I did! It's uh-mazing. Just as many witty one liners as City of Bones and the others.I just wish William was a little less like Jace.